The music streaming service is a competitive market with a few major platforms currently dominating the scene. The low sales in Apple's latest iPhone release affected its March 2018 quarter, but it hasn't damaged the company's reputation as a whole as Apple Music is the leading source revenue. U.S. Money News reports that Apple's Service revenue grew 24% in 2017 and Apple Music specifically grew by 91%. In just under two years the streaming service pulled in 36 million paid users. This news makes more sense knowing that iTunes downloads are dropping drastically. The once popular way to purchase music has dropped 50% its revenue since 2014. Apple Music and its ease taking albums fline and saving favourite songs to your feed makes buying an album simply not necessary. This means that Apple Music only has more room for growth. "Looking forward, we estimate that Apple Music could grow by 70 percent in fiscal 2018 and 50 percent in fiscal 2019, contributing nearly 500 basis points per year to Services revenue growth and enabling Apple's overall music business to become meaningfully accretive to Services revenue and ARPU for the first time in years," analyst Toni Sacconaghi tells the publication. 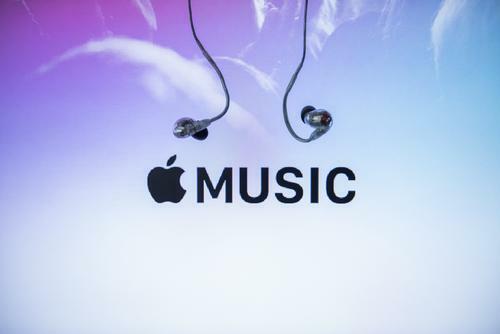 Toni estimates that Apple Music is worth roughly $10 billion, behind Spotify reported to be worth $20 billion.